Our foamed rubber sheets contain open cell foamed rubber sheets and close cell foamed sheets. Our foamed rubber sheets contain open cell foamed rubber sheets and close cell foamed sheets. 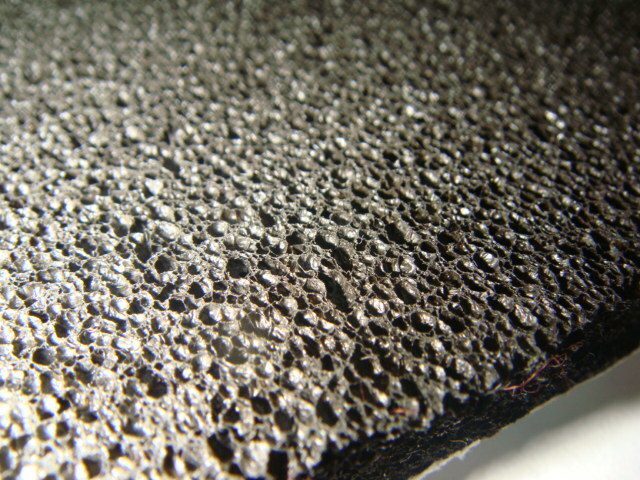 Foamed rubber sheets include three series depending on different material. There are EPDM series, NBR/PVC series and NBR foamed sheet. Different material is suitable for different use. CR foamed sheet is just one kind. We call it NCR. It’s close cell foamed sheet. And NBR foamed sheet is just one kind. We call it DHR-02. It’s open cell foamed sheet. Without any PVC, this kind of sheet is environment-friendly and widely exported to overseas. Our company owns a forerunner of the craft technique and machine process an equipments, the product is popular domestic and international market. We have already become EPDM to open to shut a bore product, NBR/PU to open to shut series products, such as the bore product and each kind of color sport mat material...etc. now. The product has a heat preservation and heat protection, quakeproof, sound absorption and seal completely, obstruct burnable etc. characteristic, extensively applied in the air condition, automobile, construct, instrument appearance, pack, electronics, the athletics sport etc. profession. Our development is very good. We have the capability to provide you with a lot of different material for foam sheet, such as NBR EPDM NR PU CR range. Besides, we have the RosH & ISO9001 MSDS etc certificate. Our sample can be available before ordering. The sample delivery time is general: about 2-3 weeks. You will place the first order after checked our quality.